Other than a small cake cutting at home yesterday, it turned out to be another day and I’m not complaining and I also expected none towards the day. But I remember my birthday of 2008 (10 years back) that fall within 10 days of my great grandmother’s demise and we were staying at our native house (which is a street away from our current house) for 16 days ritual and there wasn’t any celebration to signify the birthday but it was a present and few words from cousins made my day. We left our native house in 2005 due to my discomfort and difficulty in carrying me up and down the stairs to our home in first floor. No one expected my life would be difficult or unable to walk when the house was built, leaving the entire ground floor to expand the workshop of my uncle, we moved after buying a flat in neighbourhood, about 4km away from there. After nearly a decade living away, we shifted back to same area in 2015 and continue to stay a street away from the native house, and this is a ground floor house that much suited my need. Now we have decided to go back to our native house and work has been already started to convert the house to my comfort and an elevator is yet to install to lift me up and down along with wheelchair. Things are expected to finish by the end of this month (August) and we have informed the current house owner already about our move. Happy birthday, Jeevan! Many many more happy returns of the day! Life changes and you will adjust with it slowly. Engage yourself in some activity and be busy. No negative thoughts. You should be alright. Good luck! Happy birthday, Jeevan! As you go forward, things will fall into place. Enjoy your day! Happy Birthday to YOU...... Love the cake!!!!!! Interesting to read about your next move.... I hope it works out --for you/your family --and the extended family.... Change is not easy ---but in time, things will be FINE. Happy Birthday Young Man! Stay happy and healthy always. Fate will decide and things would sometimes fall into place nicely without our expectations. Just move closely and keep to yourself at your own pace until everything warms up again. You guys will become even closer than ever! Happy Birthday to you! I wish you all the best with your move! Enjoy your day and weekend ahead. Good to know you are moving back to your native house. It's great to be living with cousins or people in general. Just that some adjustments and easy going attitude is required on both sides. It will definitely develop as you settle there. All the best! 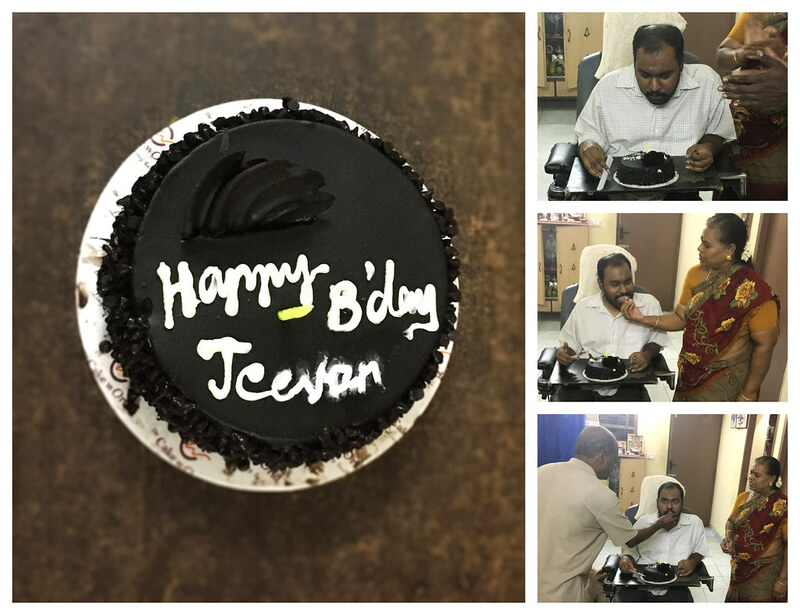 Happy birthday to you, Jeevan! Day by day, situation and people changes and we can't except everything to be the same as before. Take it one step at a time, give each other plenty of room for privacy and I am sure in time to come, everything will work out fine for everyone. Happy B'day Jeevan and thanks very much for your kind words. In fact, I missed reading your posts these three months. From personal experience, I can say that it is better to live a little away even from the extended family. Love blossoms when you don't meet too often. Though I do believe living close to each other actually benefits both the families. Hope you had a great day. And how nice that you can move back to your family home. Happy birthday to you. I hear your concern in the post of the way things change as you grow up. They sometimes get changed and then end up being back to the same when it comes to family. Multi tasked legend, Kalaignar M. Karunanidhi!